Team Sonic Racing has debuted another song that you can find in-game to groove along to as you tear up the track. 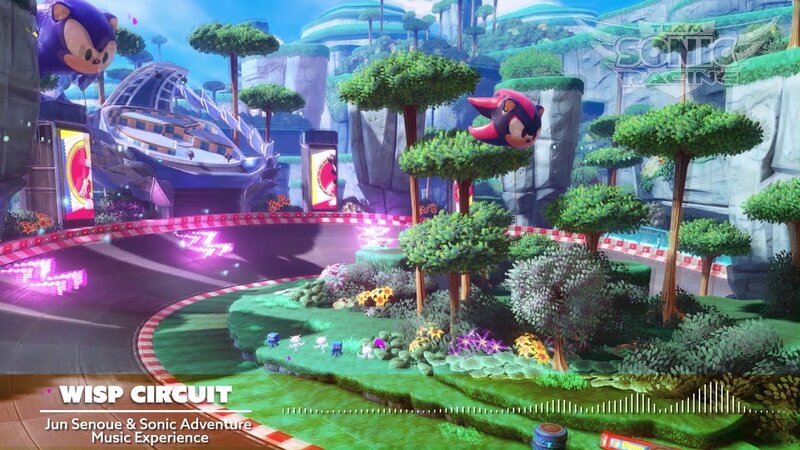 The upbeat, funky, and decidedly jazzy "Wisp Circuit" will be in the first track in Team Sonic Racing, so you won't have long to wait if you want to hear it while zooming along with your friends and opponents. "Wisp Circuit was the first stage revealed for Team Sonic Racing, and its upbeat and jazzy sound will be there to greet you when you first play the game!" reads the track's official description. The track was composed by Jun Senouee & Sonic Adventure Music Experience this time around. The previous track that was revealed, "Haunted Castle," was composed by Tee Lopes and performed by S.A.M.E. as well. Team Sonic Racing is another entry in the storied Sonic series, featuring fast-paced arcade-style racing with your favorite characters and environments taken directly from the Sonic universe. You can join your friends and race together against the AI or take the show on the road with online multiplayer as well. Local co-op play lets you change out dynamic team mechanics and use vehicle customization features to make your mark and skid across the finish line. If you enjoy arcade racing and have been burning up the tracks in Mario Kart 8 Deluxe, this Sonic racer should be something of a good palate cleanser, at the very least. Right now, Team Sonic Racing is set to debut with a physical and digital release on May 21, 2019 on PlayStation 4, Xbox One, and Nintendo Swich. It's releasing as a digital-only option on PC. You can pre-order now to get ready for the race – that is, if all this cool music that's been shared over the past few months hasn't been too much for you. Thank Sega for letting us hear all the cool new songs early.